I like very much Ubuntu spins, too. I like OSX-like visual style and desing (though I do NOT like Mac OS and Apple's politics). I'm the coordinator of the Bulgarian translators of Ubuntu and as such I cannot afford to use an OS which is "anything else" more than Ubuntu. This spin suits me perfectly. Thanks for taking the time review Pinguy OS, I really appreciate it. car il manque quelques fichiers. Hmmm... may be tempted to give this one a try! With all the goodness that comes preloaded I'm surprised K3B isn't in there. 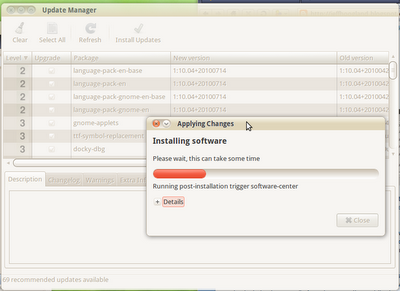 Pinguy is strictly adhering to only gnome/gtk software. Could you tell us where you got the system monitor screenlet you are sporting on the right side of the desktop? Is that part of Pinguy? 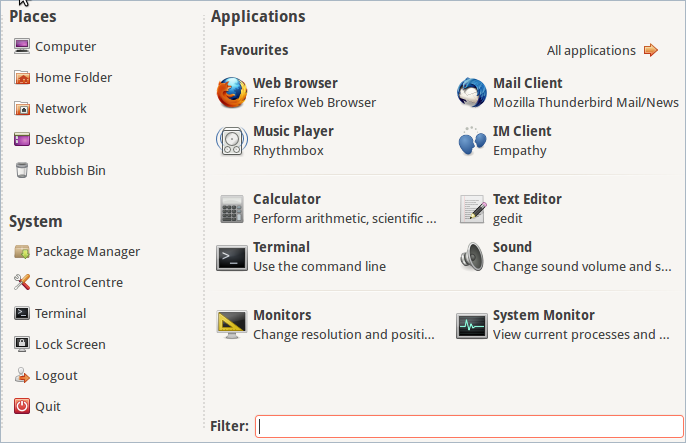 @Gotit That system monitor on the right side is Conky and yes it is included in Pinguy by default. What is the font that's used in the menubar? There's now a Facebook page. Running on VM Vbox. Very interesting. Still working on it. Updated good, haven't got web cam to work yet. Gonna do full install on Vista machine. Any way, good work. See ya on facebook. I noticed serious lag on my system with this, using docky and firefox. I had serious cpu drain. I removed docky, and switched to chrome, and it felt better. 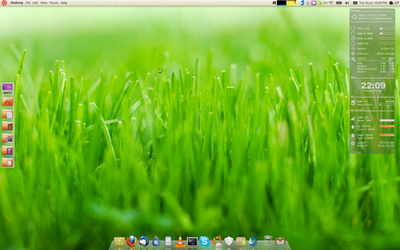 Ahh yes - Pinguy is not the most resource friendly distro in the world using 2 docky bars (they are sleek though!). So thing might not be the best choice for older systems/Netbooks. Most modern systems it should run fine on though. I tried Pinguy OS and so far like it the best of any of the Unbuntu remixes. I am using Pinguy OS in a VM but it may soon become my base OS. It looks nice. I will give it a try and another one that has E17 as well is Sabayon. I normally do not like one OS built on top of another OS and built on top of another one. 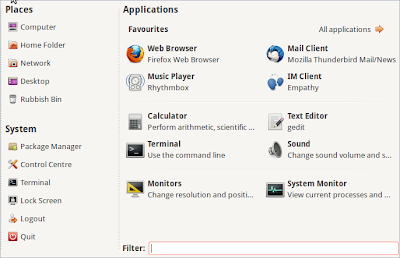 What I mean is that I hate items built on top of Ubuntu which is already built on top of Debian. I like that Mint has a version that runs on top of Debian which I like that idea better. I like the looks of it. I normally hate items being built on top of Ubuntu. The reason for this is that Ubuntu is already built on top of Debian so I like items built on top of Debian instead of being built on top of Ubuntu. I will give this a try though as I do like Enlightement. I also like the look of the Sabayon distribution. I am going to use the Pinguy Os as my default OS................................ I am loving it !!!! Pinguy os simply rocks !!!! I'm using the 64-bit version on my desktop, and I (mostly) like it. Even with a new (DX11), but low-end graphics card, everything is pretty snappy. This build is epic once you figure out not to encrypt disk by default in X64 version. Thank you for a great review. 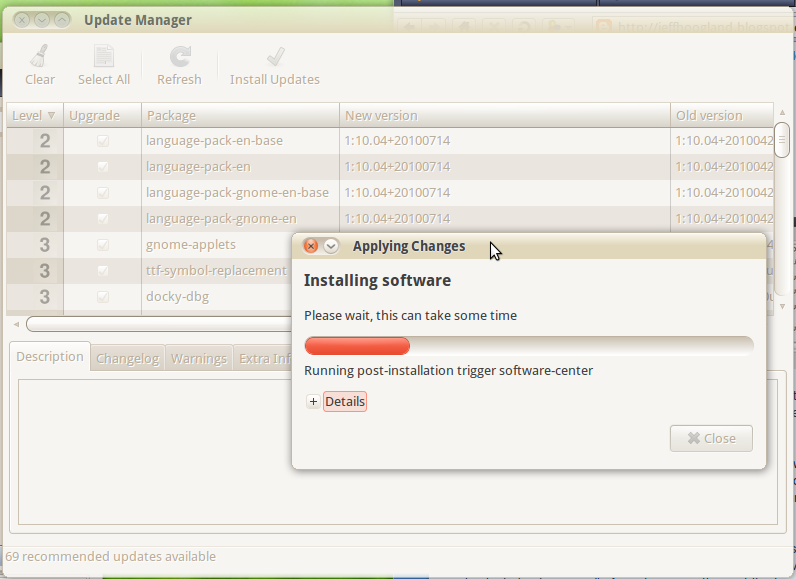 As i was a bit tired of Ubuntu, i decided to give Pinguy a shot. 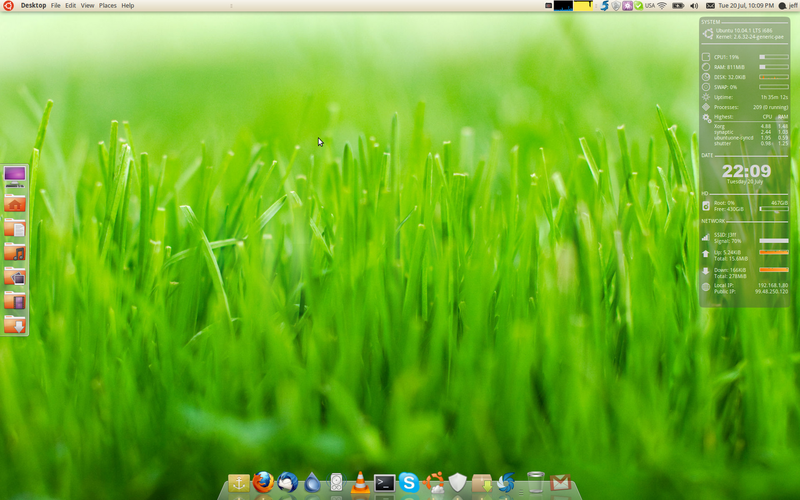 Have been using it for a week, it's great and it is now my main distro. Thanks for the review!